Do you know if you have Storm Damage? We can help you, contact us today. Do you know if your home has suffered from storm damage? Contact us for a Free, no obligation inspection. 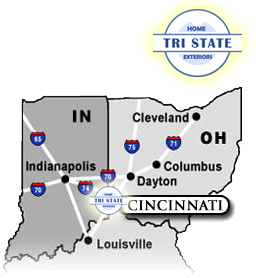 Located in the Cincinnati, OH area and doing business in Southern Ohio, Northern Kentucky and Eastern Indiana. Our objective as a company is to bring integrity to the local home improvement industry through high quality and guaranteed products, superb service and 100% customer satisfaction. Our customer focus and attention to detail is unrivaled. We are not a superstore, so we do not have the “customer cattle” approach. We concentrate on every single customer individually. When a storm has damaged your roof or if you are having a new roof installed, you need to be sure that you are using a company that you can trust for quality materials and amazing customer service. You will always speak with a friendly, informed and communicative roofing professional who is anxious to answer your questions. We oversee all aspects of the roofing process. When wind and hail has destroyed the integrity of your roof ,we will walk you through the insurance process, from filing an insurance claim, meeting with the insurance adjuster, to installing the new roof using top of the line materials and according to Ohio's building code. In most cases storm damage roof replacement is done at no cost to the homeowner other than their deductible. When you allow Tri State Home Exteriors LLC to help you with any of your roofing needs you will receive an unconditional non-prorated TEN (10) year guarantee on all labor and craftmanship. 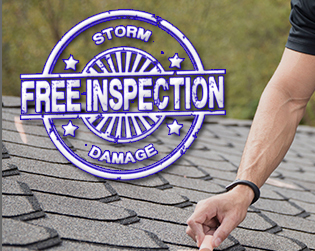 To schedule your free, no obligation inspection,click here.